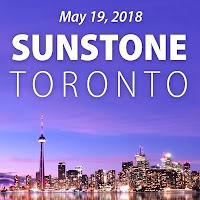 The Toronto Sunstone Symposium was a small conference. Perhaps there were 50 people there. I had 15 or 20 people in the session I ran and the other half of the people were in the other session. After I did the test run in Ottawa, preparing for my presentation at the Sunstone event in Toronto, I could see that I needed to spend ½ of the presentation time on the history of residential schools. I forget how little the average person knows about this part of Canadian history. Part of my talk during this presentation was telling how frightened I was to give this talk, even knowing fear is common, shared and that there is nothing to be ashamed about in that. A lot of people came up to me afterwards saying what do I do, where do I start. Rebecca always tells people get a book club going, take Volume 1 of the Truth and Reconciliation Commission Summary and dive in. The conference membership was about 60% from the Community of Christ. That was interesting. What a totally different path they have taken. Community of Christ is the new name of the RLDS church. In the 1980’s they ordained women. Now 5 of their apostles are women, and one of them spoke at the conference. That was cool. I can’t imagine seeing this gender gap being closed in the Mormon church. The apostle started out by explaining feminism, the 3 waves of feminism and the idea of the divine feminine, which they envision in the Community of Christ. They have a twenty-page policy for pronouns surrounding the idea of god. It will be 2,000 years when we see that in our church, I think. I met an amazing gay couple in their 30’s doing graduate work. One is a neuro scientist and one a graduate student. The latter, J. Seth Anderson, presented his University of Utah research about when the Aids crisis first came to Utah, how many people got Aids, where they went for help, and what religious organizations stepped up to give help in that first 4 or 5 years when there was no medication to treat the disease. He said he wasn’t interested in telling the story of how the LDS shunned and didn’t interact with gay people. He was past that story, he said. He was interested in researching what kind of words were being spoken by LDS apostles. He noted that behind the scene the LDS church was giving money in this state of crisis. One female physician treated many of these people. This is not minimizing the fact that there were other churches involved, hospitals run by the Catholic church for instance. Seth Anderson gave a great talk. He framed it so beautifully. His first 2 paragraphs said this is a story about love, about people who love each other, and took care of each other, who suffered, and lived their lives. Very touching. I didn’t get to hear his partner’s talk as he was presenting at the same time as I was. They were the first gay couple to get married in Utah. This was by accident. His partner, whose name was Michael did 10 years of reparative/conversion therapy before he left the church. He launched a law suit against the conversation therapy people and won. This is the first time someone had won. He argued that what was presented to him was fraud. The therapists said they could fix you and make you not gay. But the science shows us that being gay cannot be change. You can imagine how many lawyers and activists it took to support that. 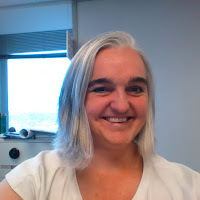 Christine Cusack did a great presentation talking about her thesis: Mormon feminists around the world (and some in Canada) gather in secret. She said she would give a slice of her research to tell what we are doing in the capital region. She said women still must meet in secret to talk about their issues, their victories, their losses, since there is a fear of reprisal. She gave examples of what women have done, then been released and been ostracized by their community. For example, the women with ordain women profiles took them down, since they lost their callings. She told about the Women’s March in Ottawa, Wear Pants to Church Day, polygamy, and talking about mother in heaven in church. Another presenter was a Catholic canon lawyer, Pete Vere, involved in the Boston litigation, a lawyer for the Catholic church working where victims were coming forward, and he was listening to victims coming forth. He did a lessons-learned presentation. He was associated with some of the high-up church people who refused to keep trying to create a cover up. This was a group who said we have to quit worrying about our priests and worrying about our congregations. He said if your clergy are found to be implicated then look at how to give reparations. The main keynote speaker was Greg Prince. His talk was about the unintended consequences of actions the church has taken with regard to homosexuality. For example, Proposition 8. Throwing their weight behind trying to make sure gay marriage was not legalized only created awareness of the issue. And then there was a counter-movement and within every other state in the US. Marriage was legalized. Of course, the other unintended consequence has been the loss of their own people who left the organization. He is a social scientist and has done over 1,000 interviews of Mormons. Now that the Sunstone Symposium presentation is over for me, I can turn my mind to trying to do a Kairos Blanket Exercise. I have to get the materials ready for that. And I have to find a space to do it in and some participants.